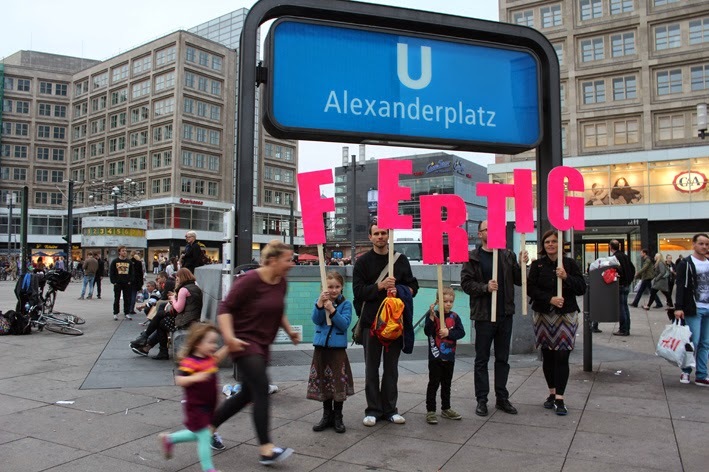 Alexanderplatz is a strange, fascinating place. 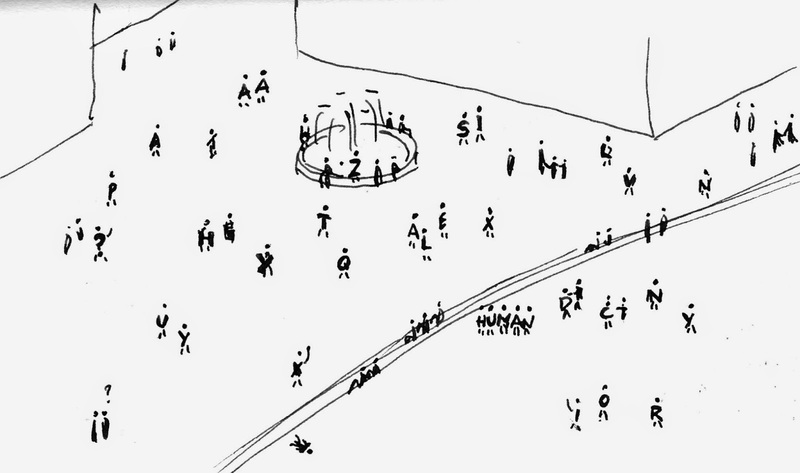 The center of the city and yet a non-place crossed by thousands of people every day. 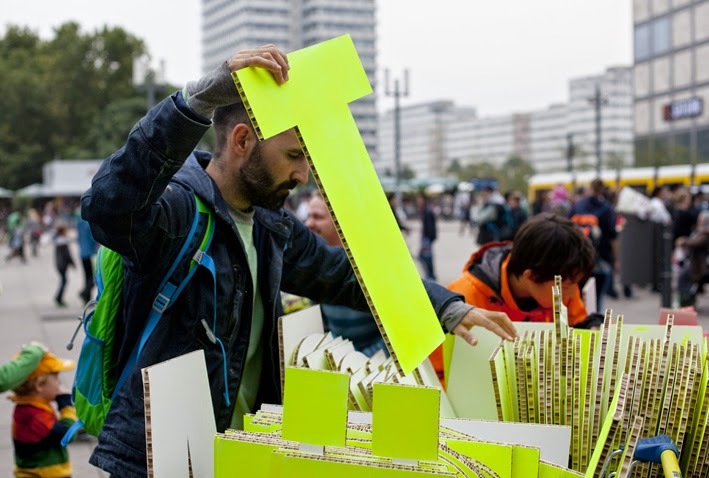 It has seen markets, revolutions, demonstrations and reunifications. 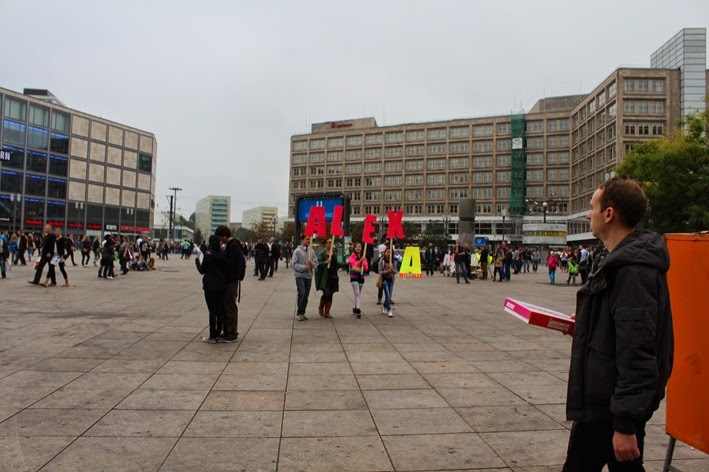 Somehow its character of big empty stage encourages people to say what they think. 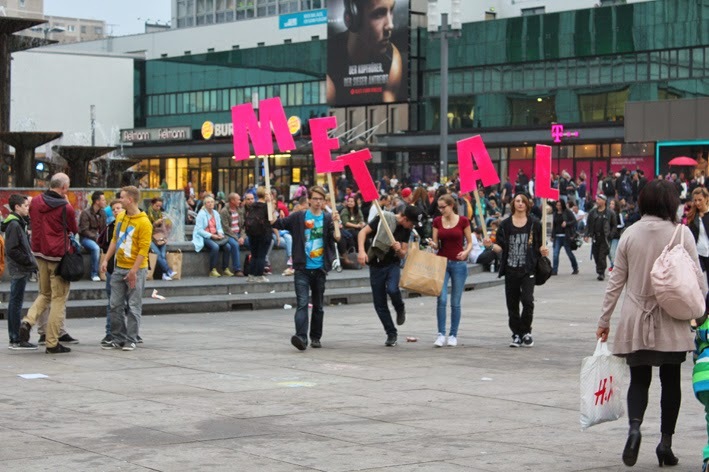 And people have a lot to say. 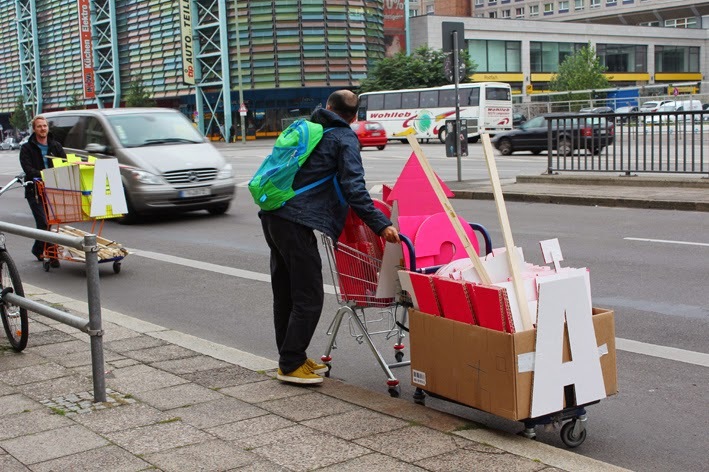 Mobile technology may connect us with the world, but abstracts us a bit from the ones right around us. 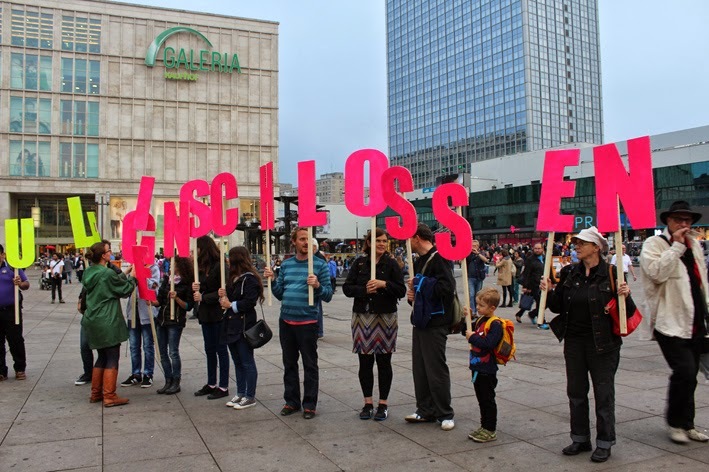 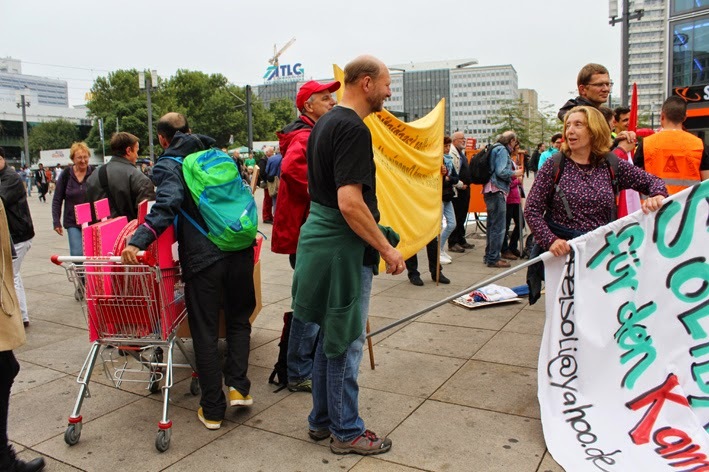 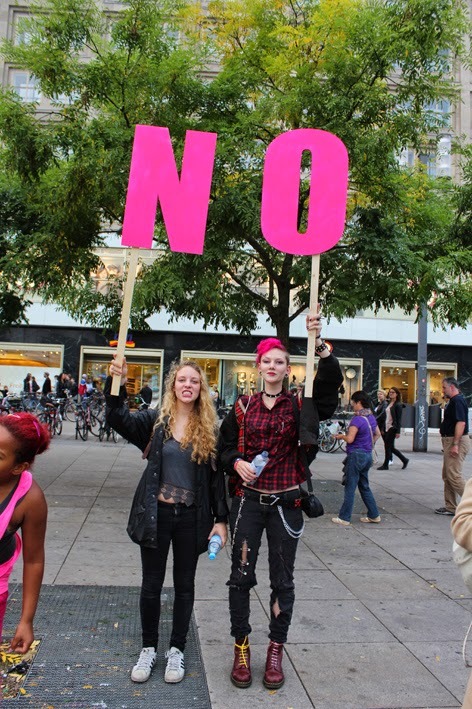 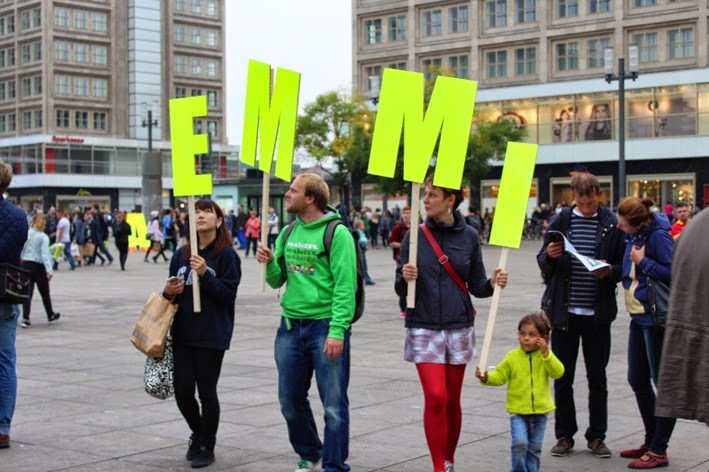 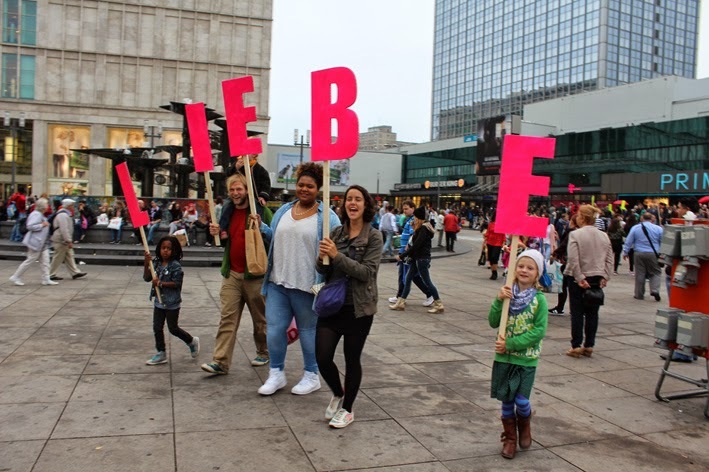 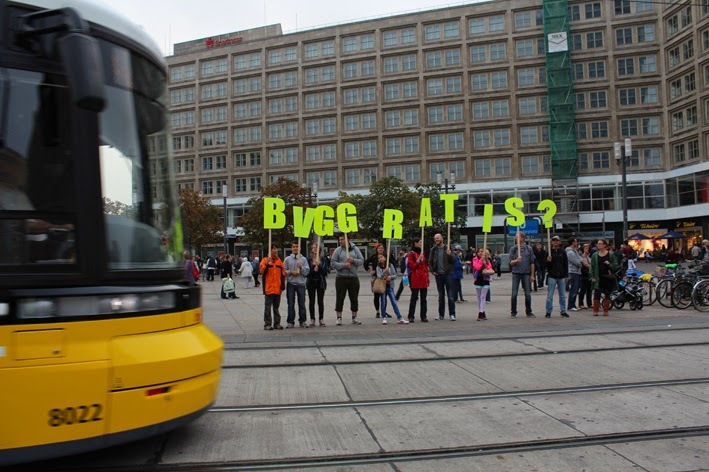 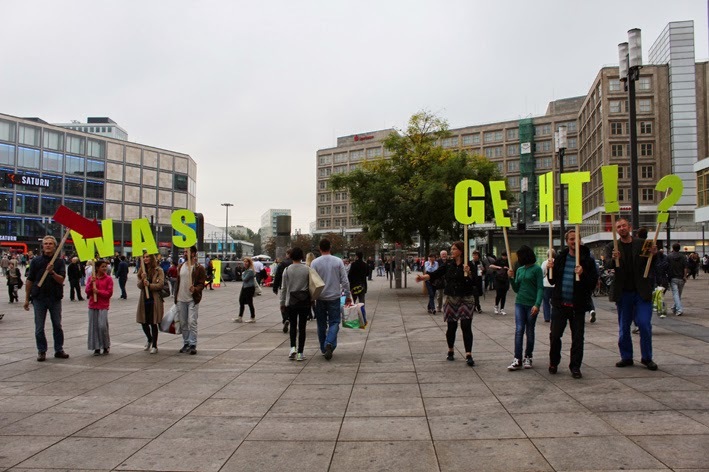 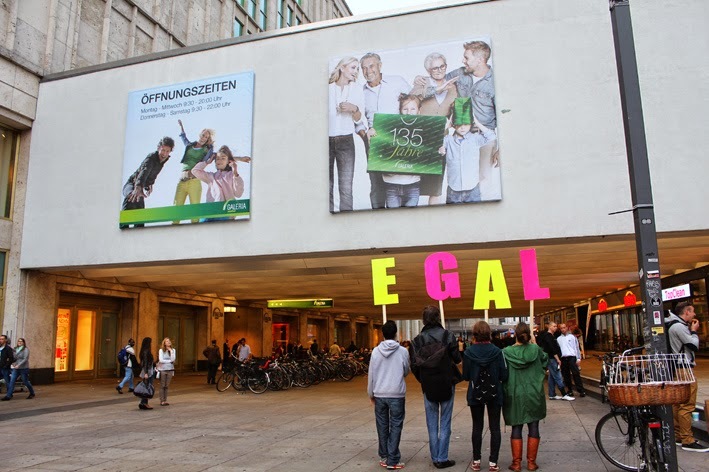 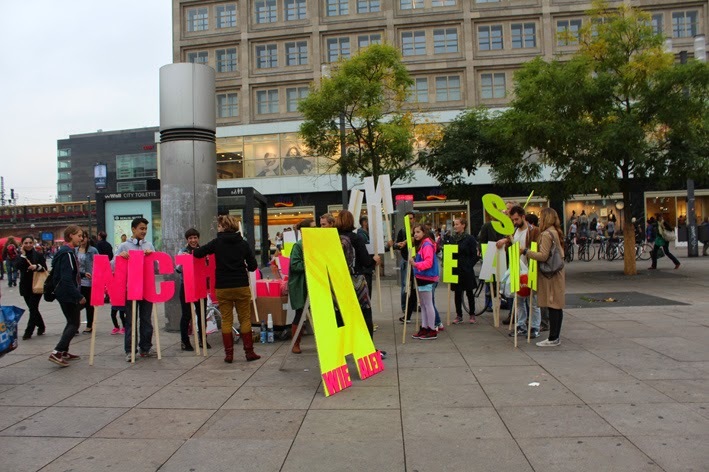 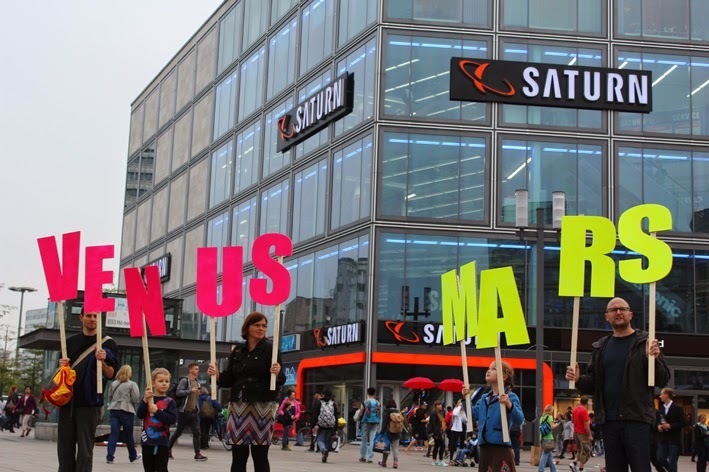 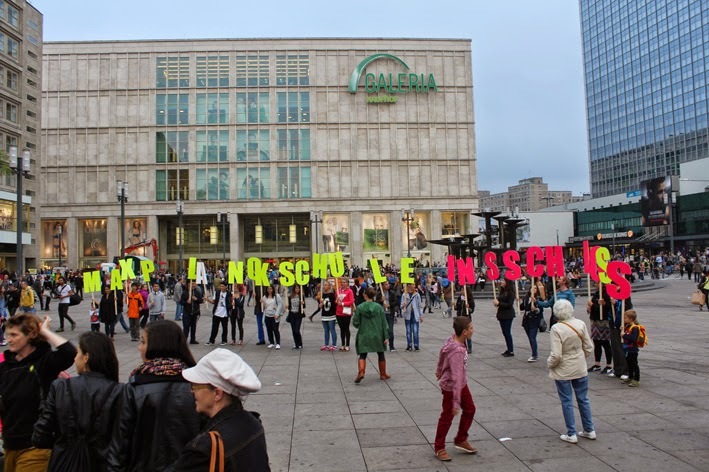 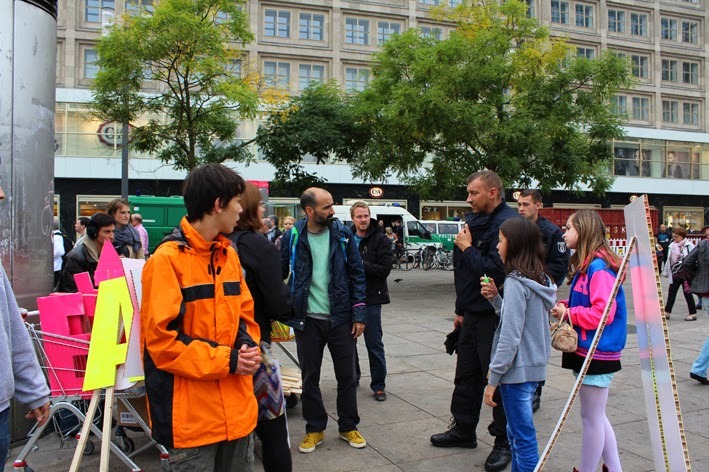 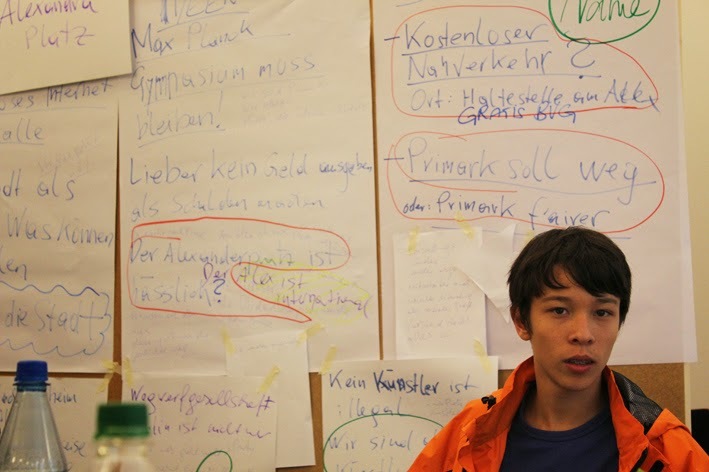 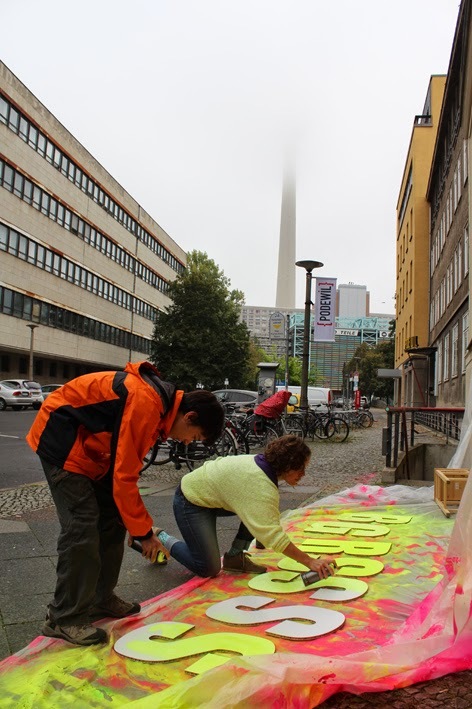 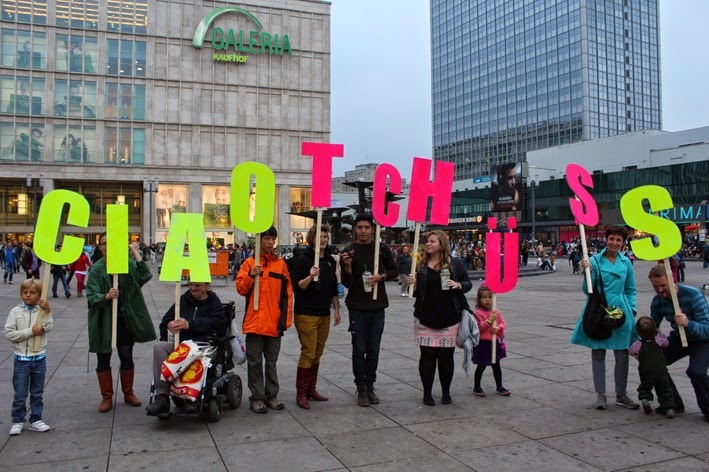 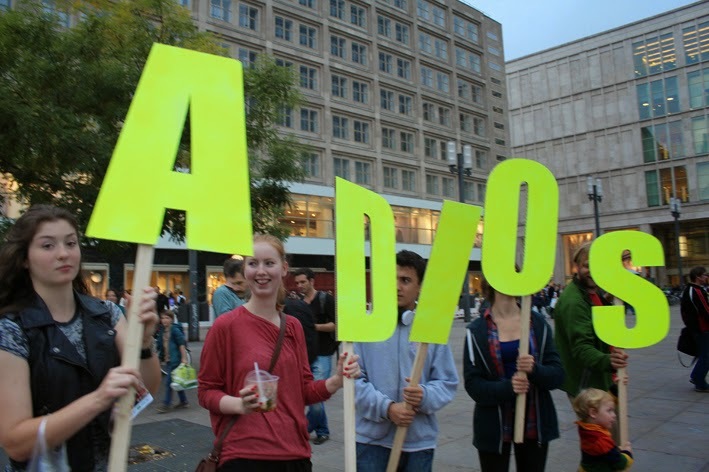 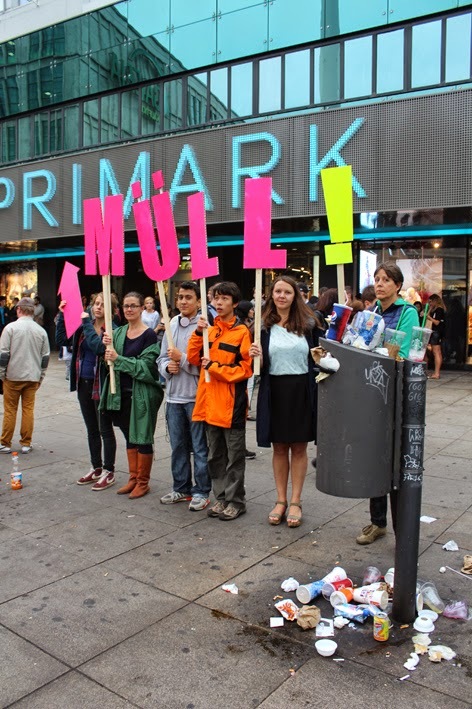 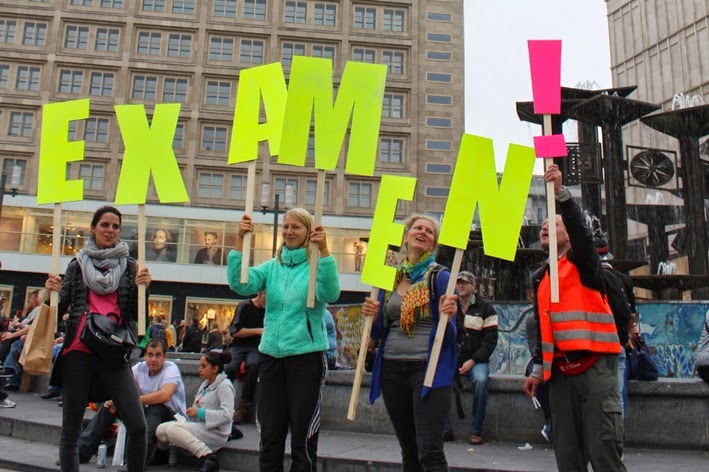 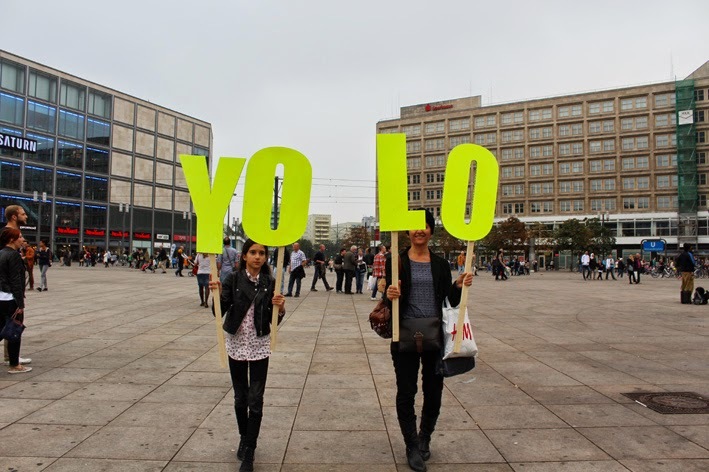 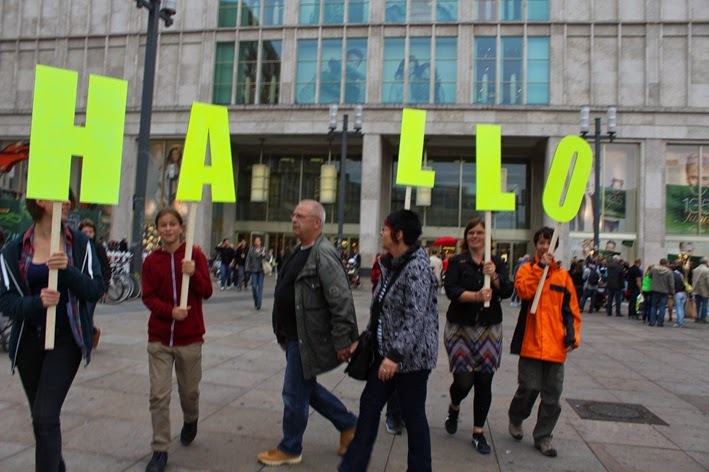 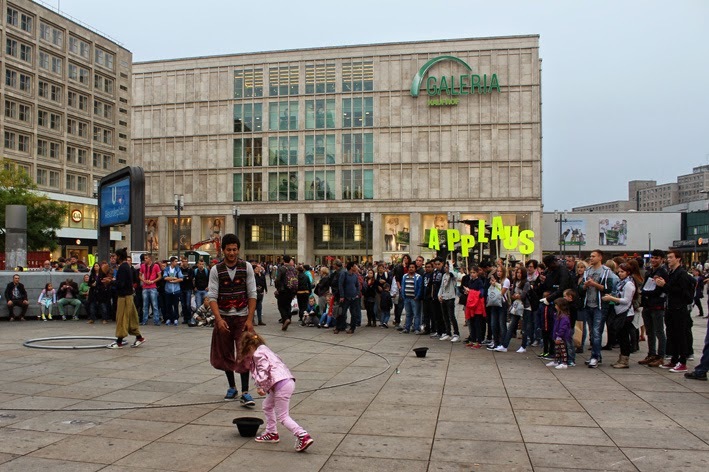 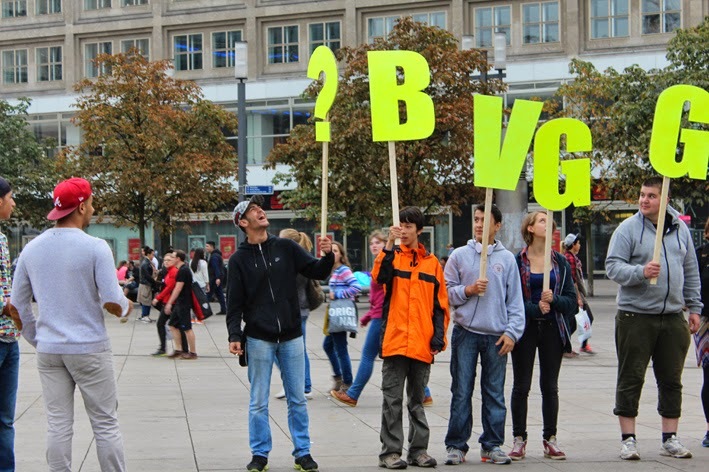 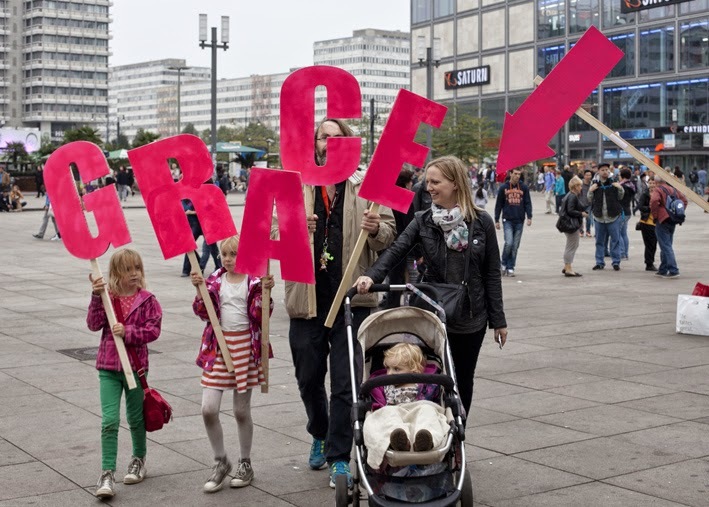 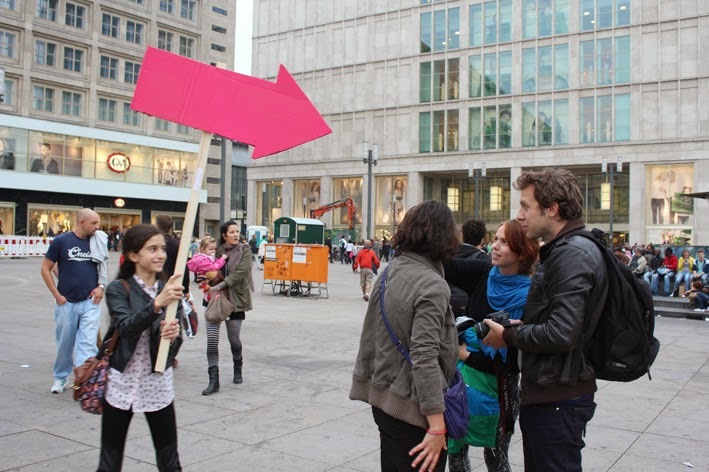 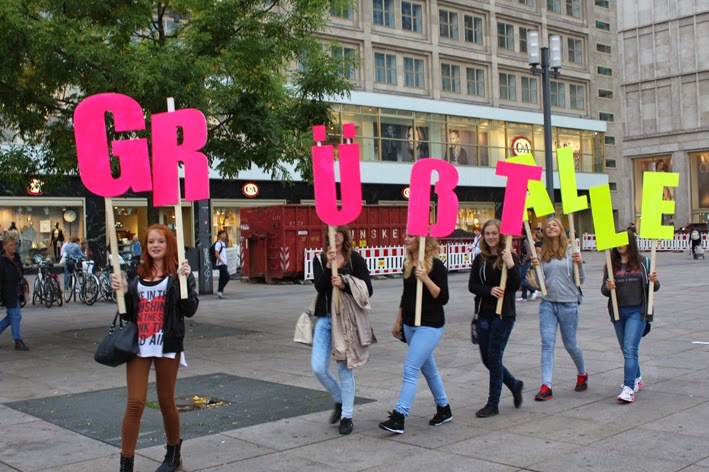 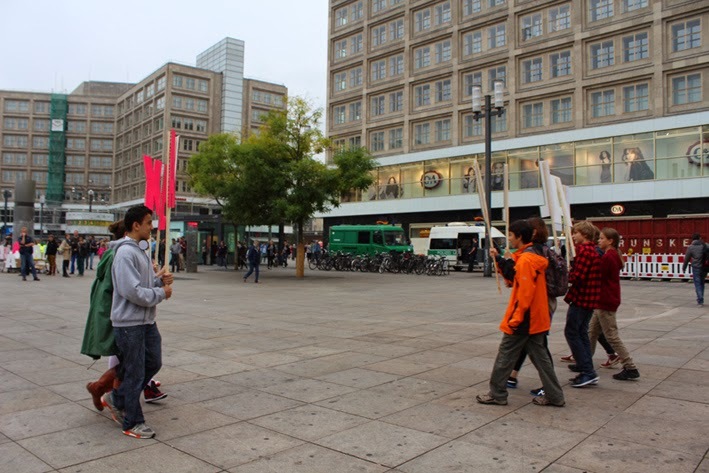 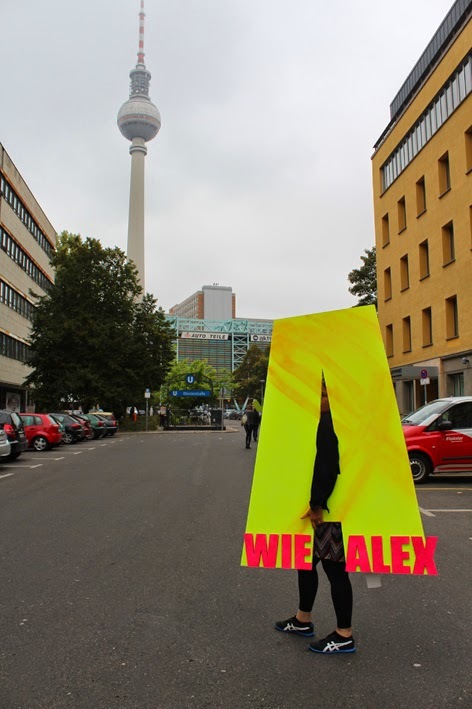 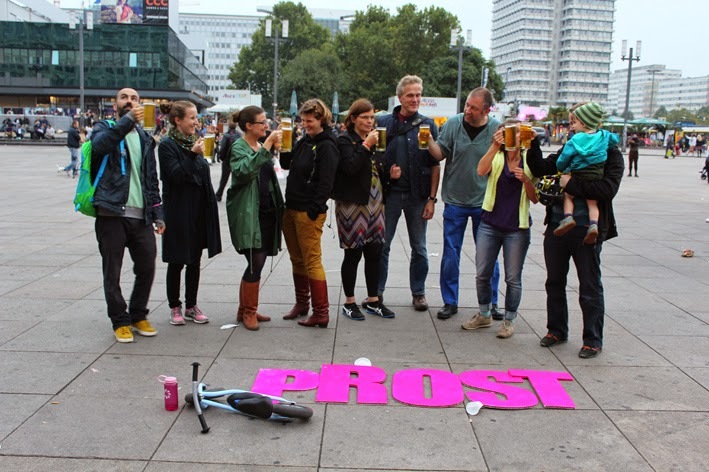 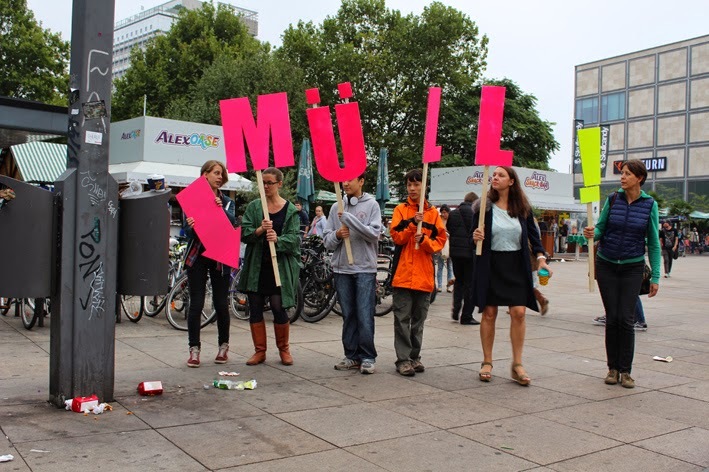 “A wie Alex” opens up the urban stage of Alexanderplatz and gives tools to communicate 1:1, loud and proud. 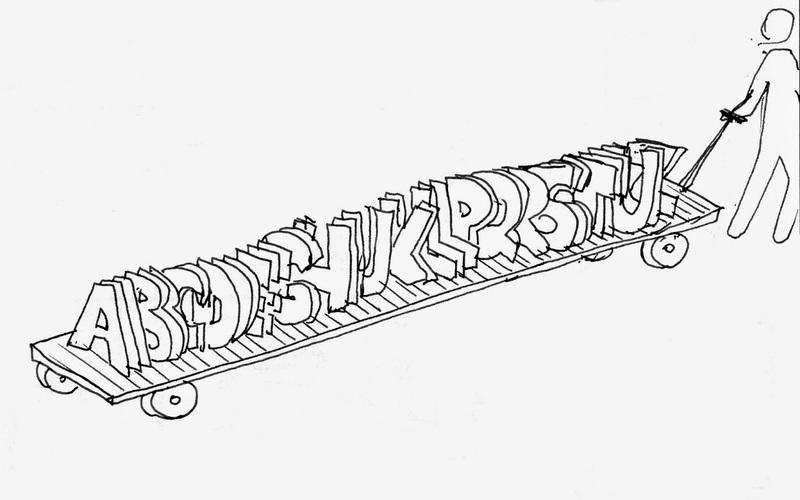 Let’s write analog sms. 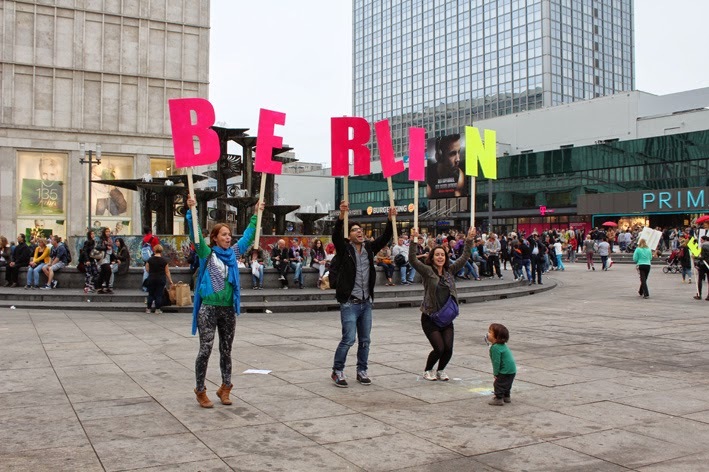 Let’s write the city. 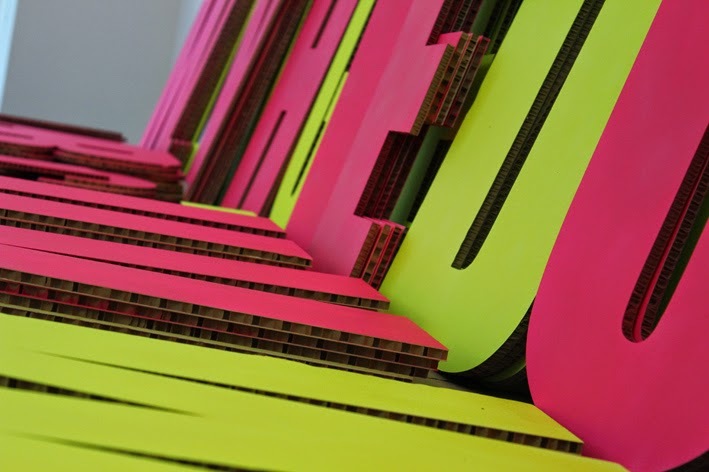 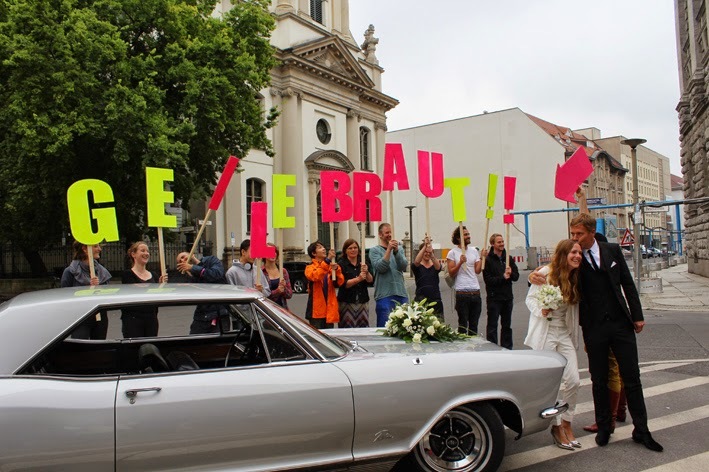 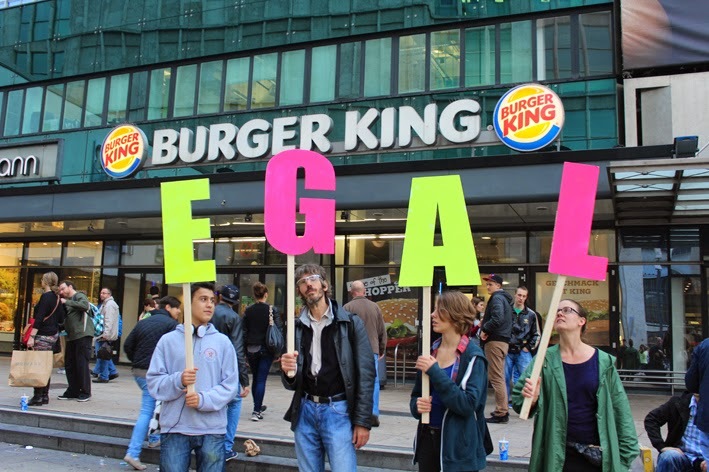 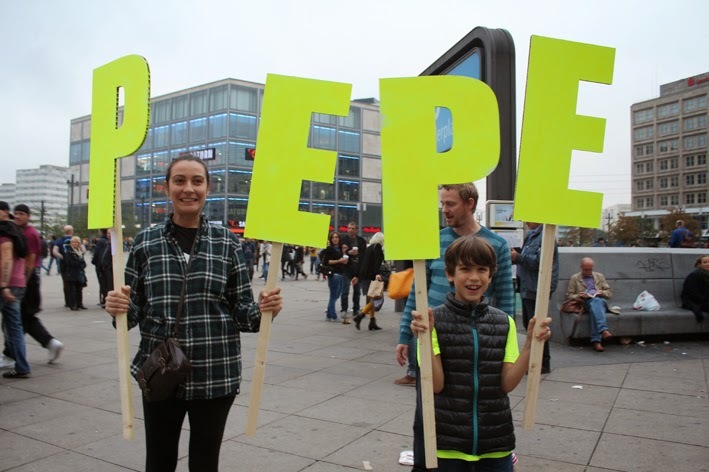 Ein Projekt im Rahmen von "BERLIN WAS GEHT"